Having put themselves back in the sludge picture with their Relapse debut ‘Bridges to Burn‘, 16 are back with ten more tracks of sonic bleakness, where once again positivity is properly shut out and only heavy misery remains, and vocalist Cris Jerue spitting out lyrical woes over various chug sludge riffs. They haven’t evolved much over time, even up to now, and simply don’t feel the need to. They convey their message very effectively indeed. Initially I struggled to find anything particularly memorable about ‘Deep Cuts‘, even though there’s nothing wrong with the material. Its very much as you were and perhaps one of the things I can note is how Jerue’s vocals, wrapped in distortion, rarely ascend from (though no less passionate for it) a consigned-to-the-gutter scowl – as opposed to his fierce yell on ‘Throw in the Towel’ (from ‘Bridges to Burn‘) for example. I don’t raise that particularly as a negative point, just one that to me stood out on an album full of solid riffs and jams, but few on standout moments. That said, now I’ve heard the album a few times, there are a fair few shining moments, and when they do occur, they really do stand out – personally I’m digging the bludgeoning breakdown on ‘The Sad Clown’, and the brutally raw ‘Bowels of a Baby Killer’, with the line ‘blame/it’s not your fault/shame/but you deserve it‘. And ‘Only Photographs Remain’ is one of the (lyrically) most miserable tracks you’ll certainly here all year and one of the best too. A real sludge downer to finish on, it deals with the subject of grief appropriately, and you can actually sense the gloom in Jerue’s voice, and in the band’s instruments, as he growls ‘feel my pain/only photographs remain‘. It’s a strange sensation to say there’s not a lot of stand out moments, though, when you’ve actually enjoyed said album. 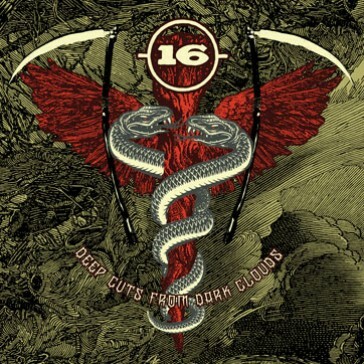 Perhaps it says a lot about how little 16 have changed over the years, focusing instead on their sludge/noise racket to create an abrasive, wallowing experience, no less intense than previous records, just one mired in heavy, sludge addiction abuse. Those perhaps craving a little more from this band might be slightly disappointed, but most will celebrate the return of a band that have had more than a few troubles of their own in the past. I’ll choose to sit in the latter camp. It’s not 16’s best work by any means, but not many can make such depression sound better. Posted in 16, Album Reviews, Downloads, Noise Rock, PC, Relapse, Sludge, US. Some of the best new bands are the ones that go largely quietly unnoticed. That’s the feeling I get with Beastwars, who were previously unknown to this country prior to being picked up by Witch Hunter Records, who are handling distribution of this album in the UK. 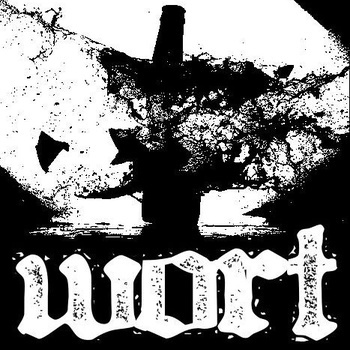 That said, they received much critical acclaim back in their homeland for their debut album, and it was only a matter of time before the wider world got word of Beastwars. Despite the obvious name connotations with the Transformers, there’s not more to these four guys from Wellington, New Zealand than meets the eye. 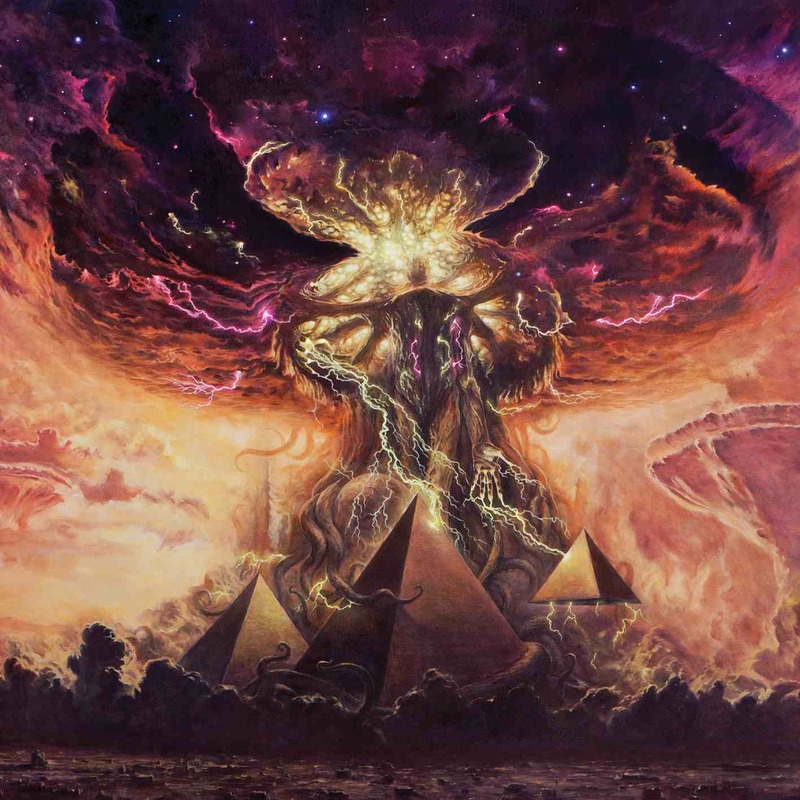 Instead, what you hear is what you get, and that’s some stunning sludge-infused heavy metal, covering a wide range of ground, from thunderous songs such as ‘Damn The Sky’ and ‘Mihi’, groovers such as ‘Red God’ and the fantastic ‘Cthulhu’, every bit as ominious sounding as the beast it is named after. Over the course of its nine tracks, its hard to pick out anything about ‘Beastwars‘ that disappoints. The bass is staggeringly low in the mix – not Sunn 0))) low or anything on a drone scale, but it rumbles deep beneath the guitars, giving Beastwars an almost leviathanic effect. Bass isn’t everything in a metal band, but it sure does help when it creates such a sound. Their vocalist Matt Hyde has a cracking voice, able to drift from spoken drawl into a full blown war cry in a moment. In future it might well serve them to vary the pace a little more – everything on ‘Beastwars‘ is more or less the same tempo, bar some of the later, slower tracks. That said, it’s refreshing to not hear a band attempting to melt your face with sheer speed, while retaining the ability to crush your senses every time. While they draw obvious comparisons with established sludgy/heavy metal acts like High on Fire, Baroness, Bison B.C., and even acts such as Soundgarden, it’s not really a bad group to be affiliated with, and especially when you can deliver the goods like Beastwars can. Posted in Album Reviews, Beastwars; Destroy; Heavy Metal, New Zealand, PC, Sludge, Witch Hunter. It feels like ages since we had a proper Torche release. That is, if you discount the quicker than a hiccup release ‘Songs for Singles‘ in 2010. ‘Meanderthal‘ would have been an appropriate mantra for the band following the release of that album, with the following full length held up by line-up changes, singer/guitarist Steve Brooks getting back together with old band Floor, and a split with Part Chimp last year that featured not one but three Guided by Voices covers. Good things come to those who wait, however, and ‘Harmonicraft‘ is by and large the follow-up we all hoped for. Andrew Elstner takes up the position of lead guitarist following the departure of Brooks’ long-time bandmate Juan Montoya, but ‘Harmonicraft‘ is typically Torche and begins with upbeat flourish. The anthemic ‘Kicking’ sums up what Torche do best, surely designed for the live arena when people will no doubt bounce in unison when Brooks yells out the word ‘Kicking!‘ Elstner gets the chance to put his stamp on the band with some searing guitar solos, such as the beginning of the 90-second ‘Walk It Off’. ‘Harmonicraft‘ trips up slightly during its midsection, a weak underbelly that strives too much for pop sensibility that it trips up over it and knocks their fine sludge/pop balance off kilter. 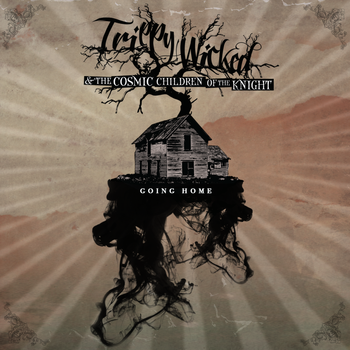 No amount of echoing high end riffage such as at the beginning of ‘Snakes Are Charmed’ can avoid that, and the result is something distinctly lacking in any punch or any real sense of hook, and I failed to be overly enthused by the following track’s brief bounce (‘Sky Trials’) . Thankfully they manage to pull it back around by the end of the album, with ‘Kiss Me Dudely’ being a more rampaging celebration, and the outstanding and contemplative ‘Solitary Traveller’ is also particular highlight. 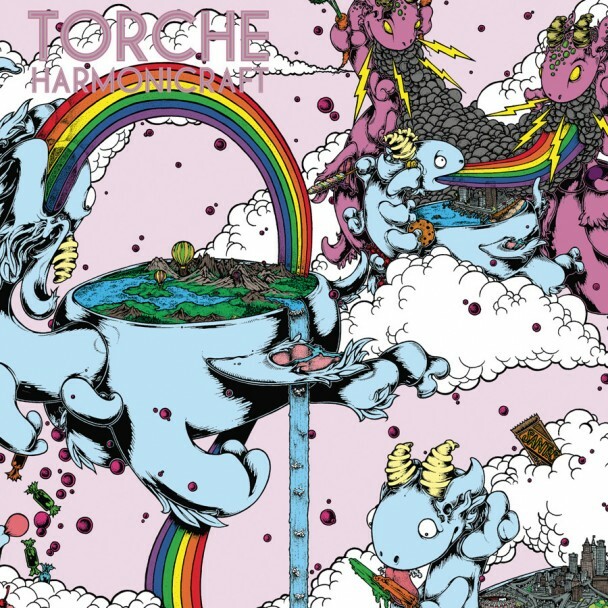 I don’t think ‘Harmonicraft‘ is Torche’s best work – I’ve noticed a lot of people hailing it and everything but it took a little while to grow on me, such a thing that didn’t happen with previous Torche releases. That said, the majority of ‘Harmonicraft‘ is quality, and when they get the formula right, boy do they get the formula right. The marriage between joyous and upbeat harmonies and sludgy downtempo melodies still work fine. My personal ideal is for them to not to tinker with the formula too much – it worked for AC/DC and The Ramones, and while Torche are neither of those bands, they have a formula that doesn’t require much alteration or experimentation. Posted in Album Reviews, PC, Rock, Sludge, Torche, US, Volcom. The Melvins feel to have been around an eternity, yet show no signs of letting up their prolificacy. Indeed, 2012 is setting up to be an even busier year for them, with the forthcoming release of the ‘Melvins Lite’ album ‘Freak Puke‘ almost upon us, following hot off the heels of the Scion A/V-backed EP ‘The Bulls and The Bees‘, once again comprising the quartet of Buzz Osborne, Dale Crover and the Big Business rhythm section of Jared Warren and Coady Willis. 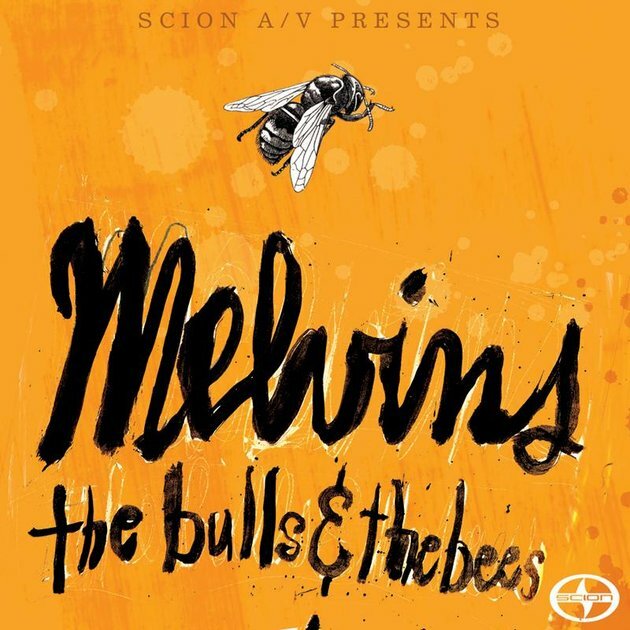 Now in the 29th year as a band in one shape or another, the Melvins are still bang on form and firing on all cylinders, even if ‘The Bulls and The Bees‘ isn’t quite classic material, although still far better than anything you can do. Kicking things off with ‘The War on Wisdom’, this EP doesn’t bear any surprises but maintains quality throughout – the aforementioned track bolstered by the galloping drums from Crover and Willis, and Osborne and Warren’s signature vocals. ‘We Are Doomed’, the EP’s lengthiest track, possessing a cracking riff. That said, the remainder of the EP isn’t exactly memorable, with ‘Friends Before Larry’ and ‘A Really Long Wait’ never really getting going, robbing the momentum gained from the previous two tracks – though it does redeem itself with closer ‘National Hamster’. All eyes will now be on the aforementioned ‘Freak Puke‘, a diversion from the Melvins’ recent history but no less of an intriguing prospect. That said, let’s hope the four-piece version of the band get back together before to further forge on from this work. For now, this free release from Scion A/V is enjoyable enough to tide us over for now, though I suspect fans may track back into the band’s long discography for their kicks during the quartet’s probably brief hibernation. Posted in Album Reviews, Downloads, Melvins, PC, Rock, Sludge, US.